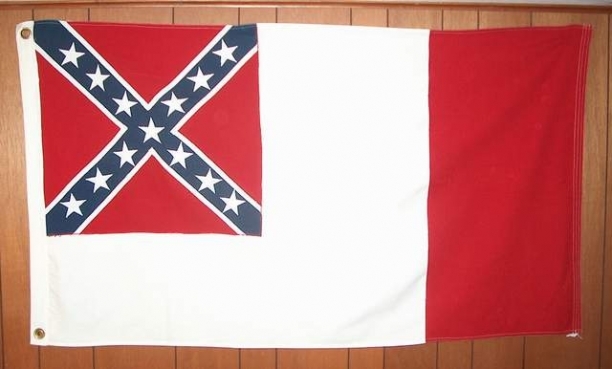 3rd National Flag.This flag replaced the 2nd Confederate Flag because of the confusion about the 2nd looking like a flag of surender. 3' X 5' cotton, cut, & sewn. Satisfaction guaranteed. Fully refundable within 14 days of reciept.